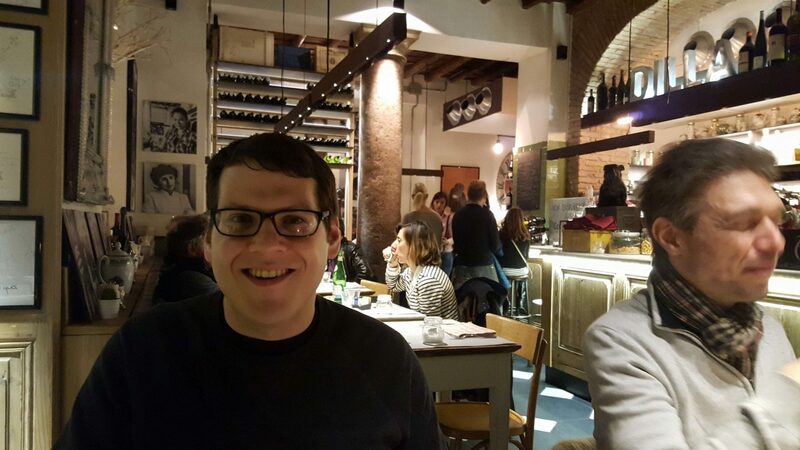 After taking the train from Sorrento to Naples to Rome, we checked into our hotel (this cute place I found for a steal on Hotels.com) and got a good night’s sleep. 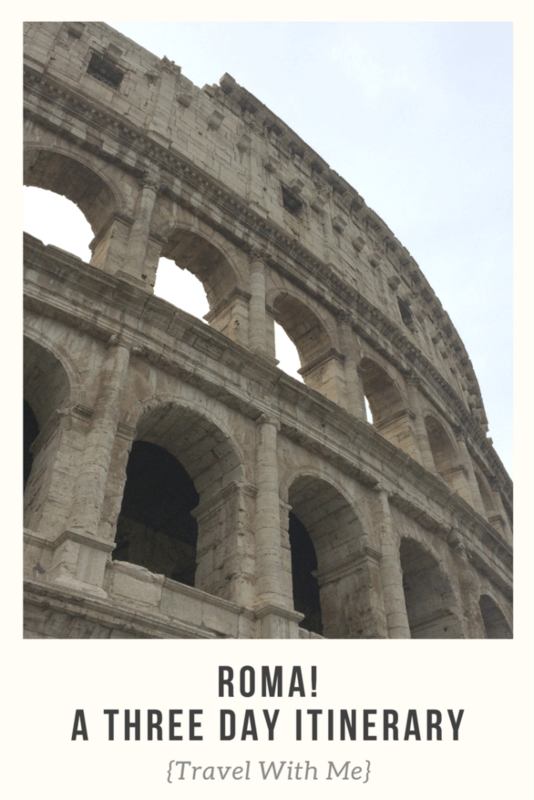 Our three-day itinerary for Rome was packed, and we wanted to be well-rested. 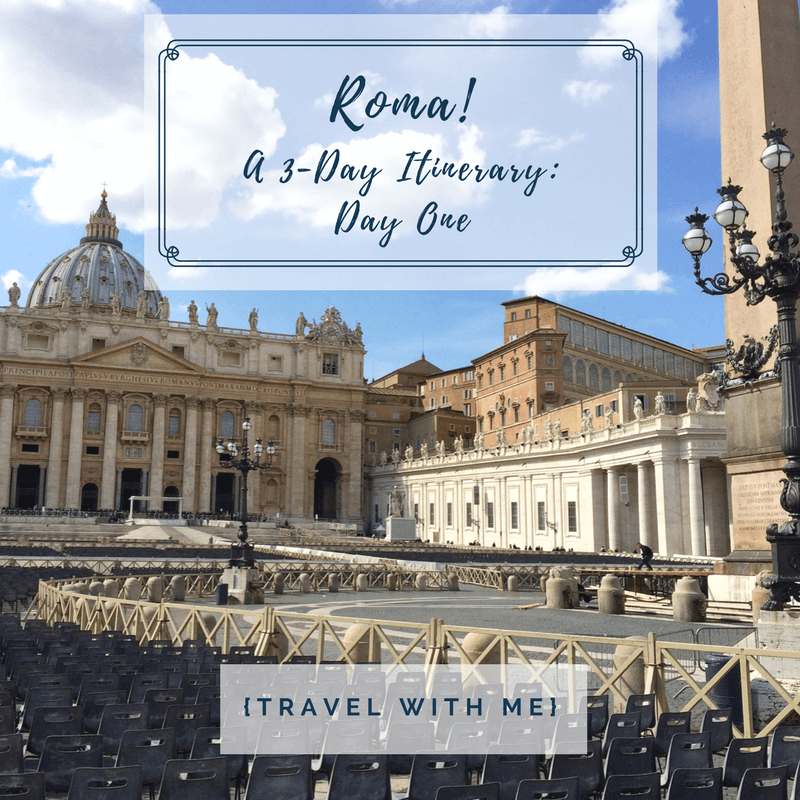 Because we did so much during our time in The Eternal City, I’m splitting this guide to Rome into two posts – day one and days two and three. 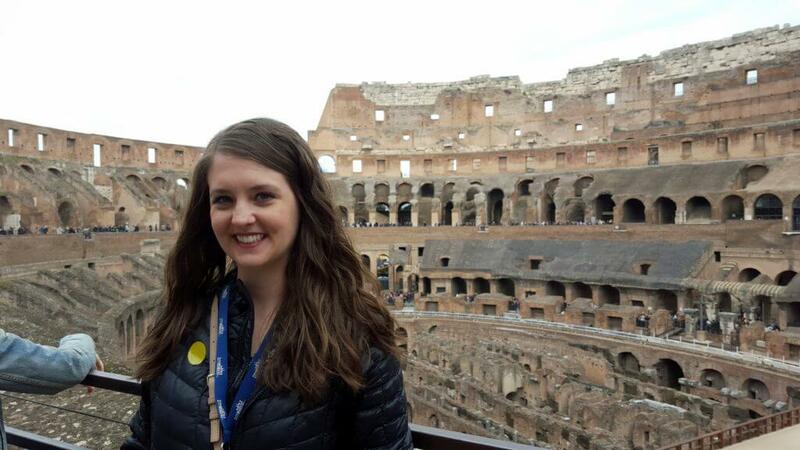 On our first day, we toured the Colosseum, the Roman Forum, the Pantheon, the Trevi Fountain, and we had not one, but TWO, delicious pasta meals. 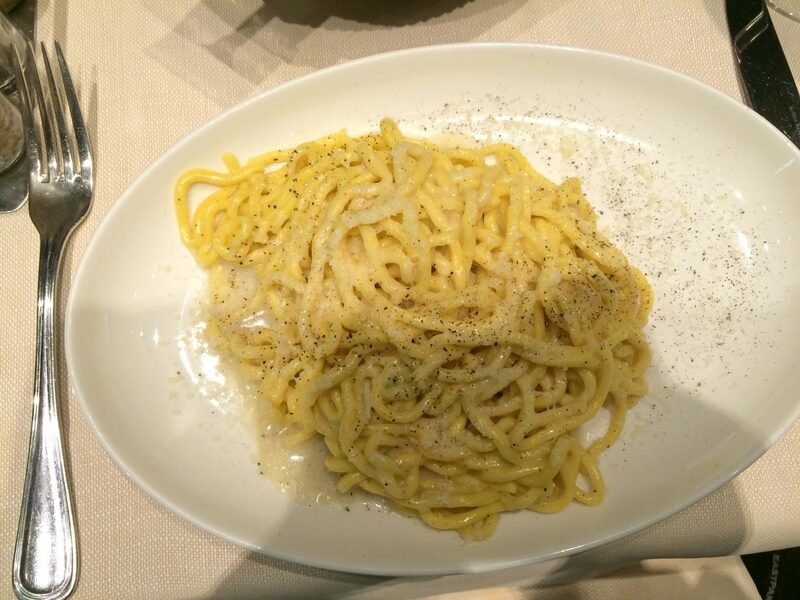 Hey, we had to get all the fresh Italian pasta we could before heading back home in a couple days! Go to the bottom of this post to see a map of all the places we visited during our three days. Our time in Rome was very group tour “heavy”. 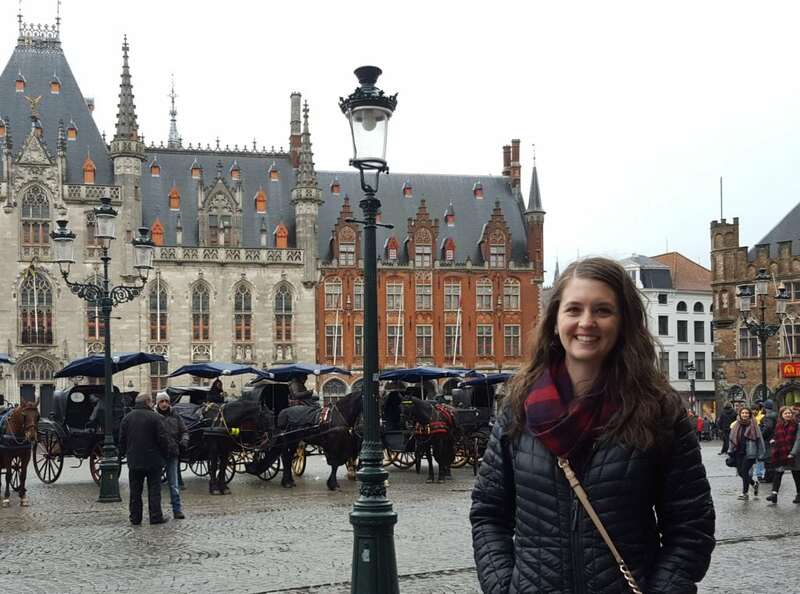 We usually like to mix up our travels with group tours and touring some things on our own, but there was so much we wanted to see in three days that we thought the most efficient way to do that was through group tours. Our first set of tours was with City Wonders. 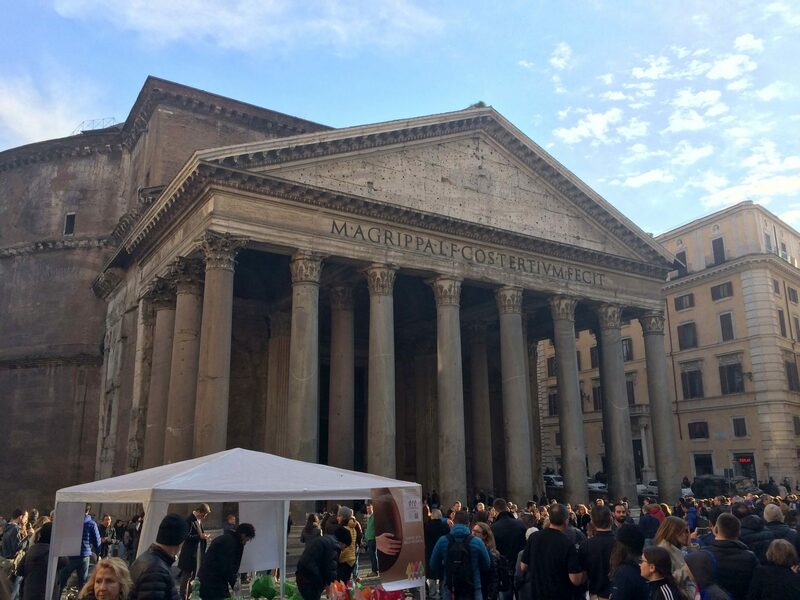 On Day One, we did the “Rome in a Day” tour which started with the Colosseum and Roman Forum in the morning and went to the Spanish Steps, Trevi Fountain, and Pantheon in the afternoon. I wanted to also make a quick note on the timing of our visit. 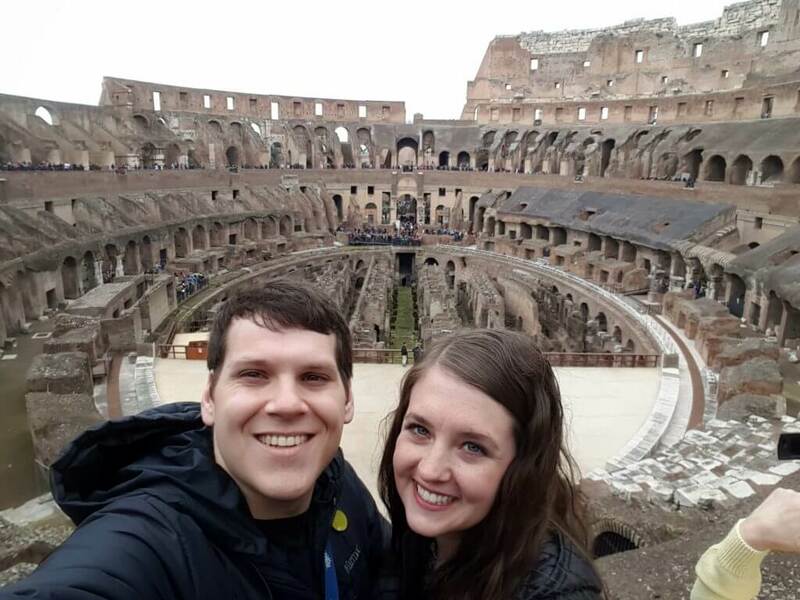 While most of our big Europe trip was during off-season (started in January and ended in mid-March, which allowed us to explore without crowds), that was definitely not the case once we got to Rome. 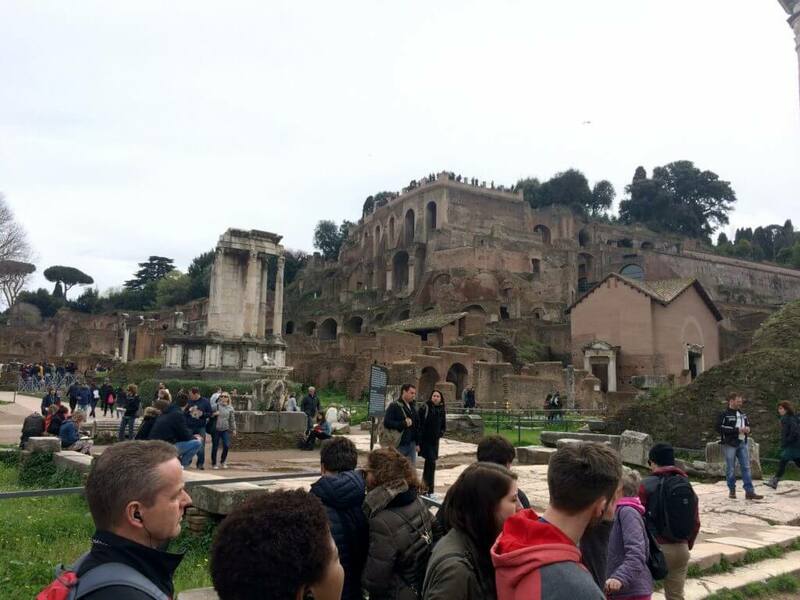 We arrived in Rome right around spring break time, so while I’m told this is certainly not the busiest time to visit Rome, it was very, very crowded. I’d probably recommend going end of February if you have that flexibility. 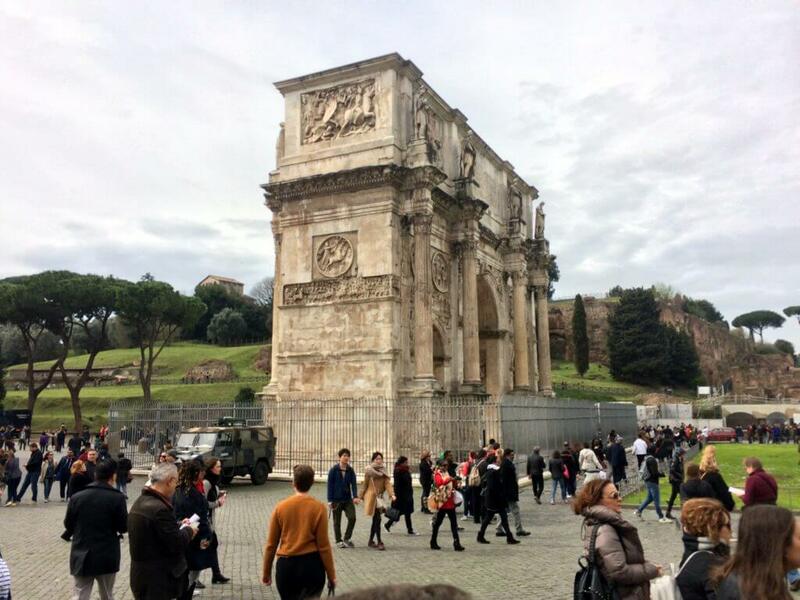 To tour the Colosseum, we took the City Wonders Colosseum Group tour in the morning (as part of the “Rome in a Day” package mentioned above). 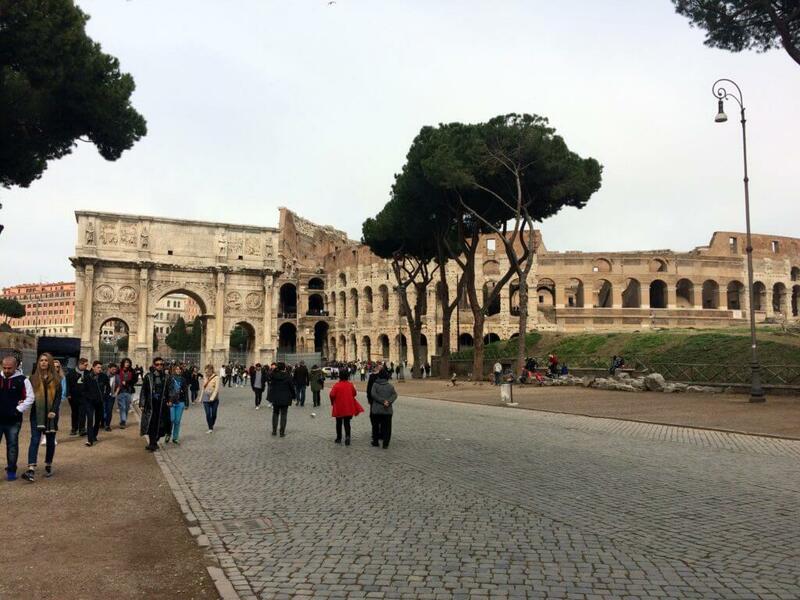 The Colosseum is a fascinating site to see and explore, and the history it holds is both rich and tragic. 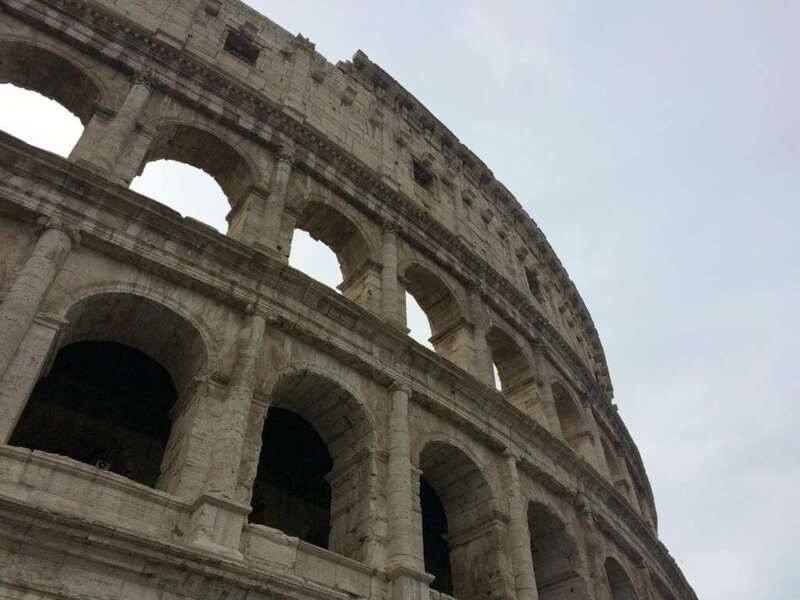 Construction of the Colosseum was completed in AD 80, and it is the largest amphitheater ever built. Historians estimate it could hold 50,000 to 80,000 people, and it was often full with spectators coming to see gladiators and animals fighting as well as executions. I am not going to dive deeper into the history here in this post, but it is a must-see when visiting Rome, even if you go at a time when you will be fighting crowds. The tour wasn’t our favorite group tour, but that wasn’t the guide’s fault. 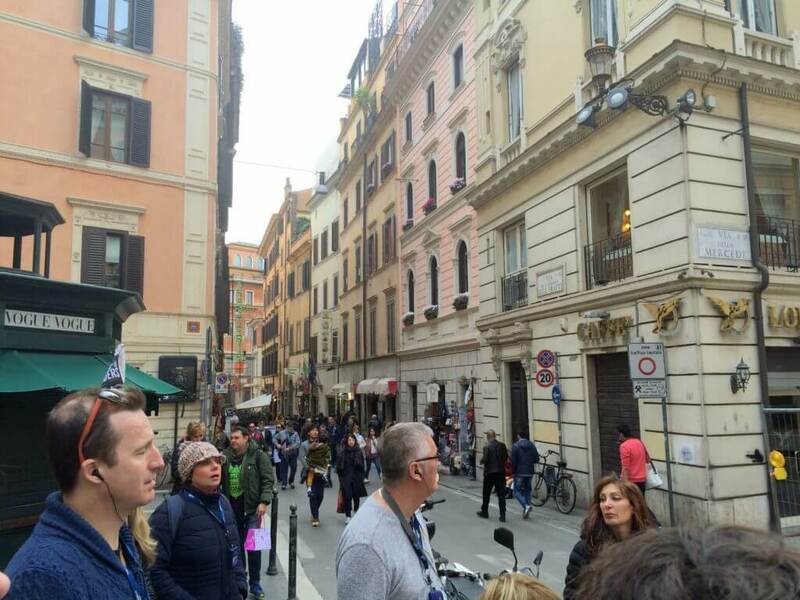 It was hard to hear and keep up with all of the crowds, even though we did have radios to listen to the guide with. 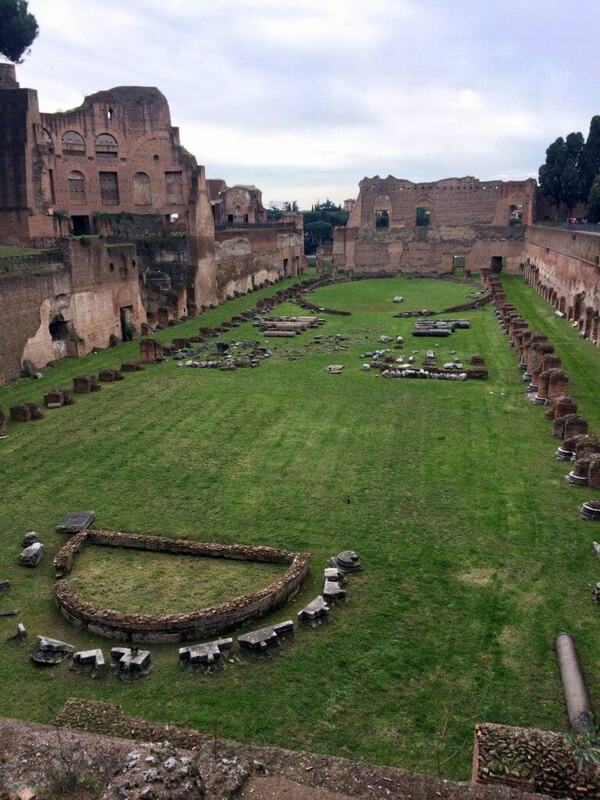 Looking back, I think we would probably download our own audio tour on our phones and explore the Colosseum that way. 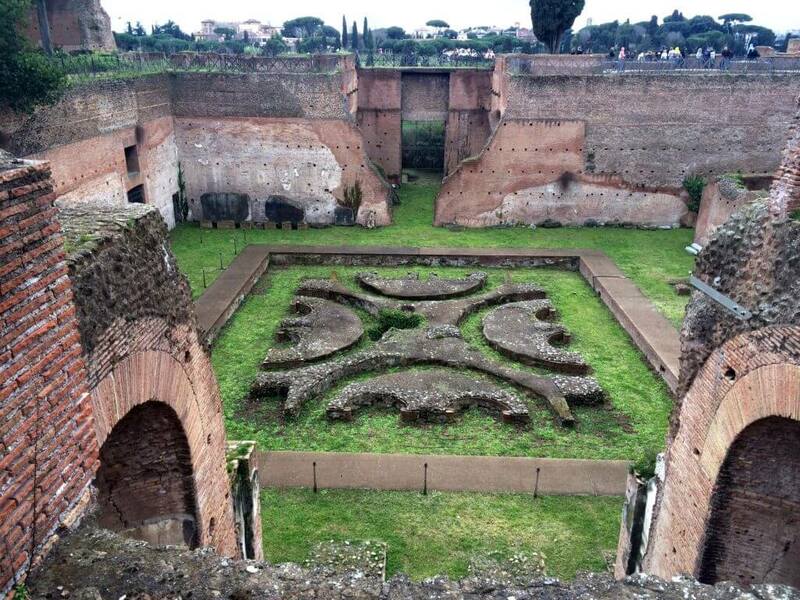 The Roman Forum is a set of ancient Roman government buildings surrounding a rectangular plaza near the Colosseum. 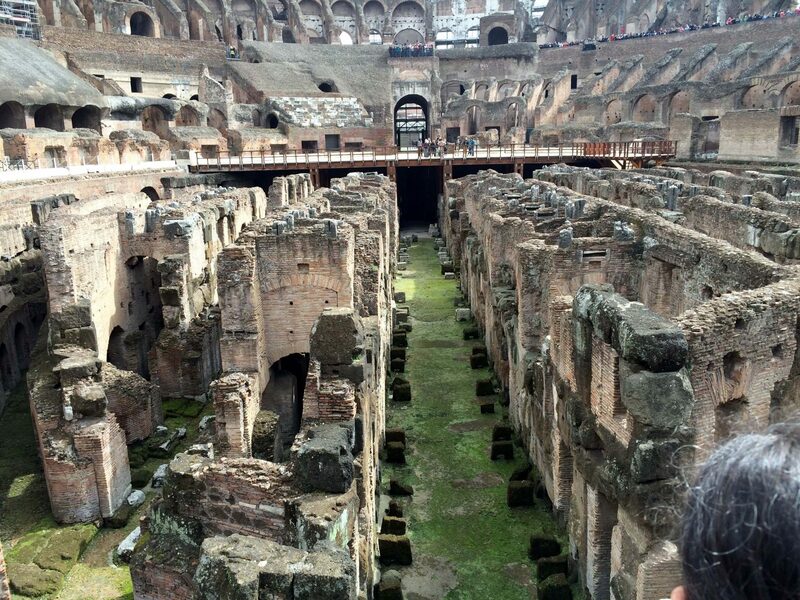 Our guide (as part of the Colosseum group tour) took us through the ruins, explaining what each structure once held. 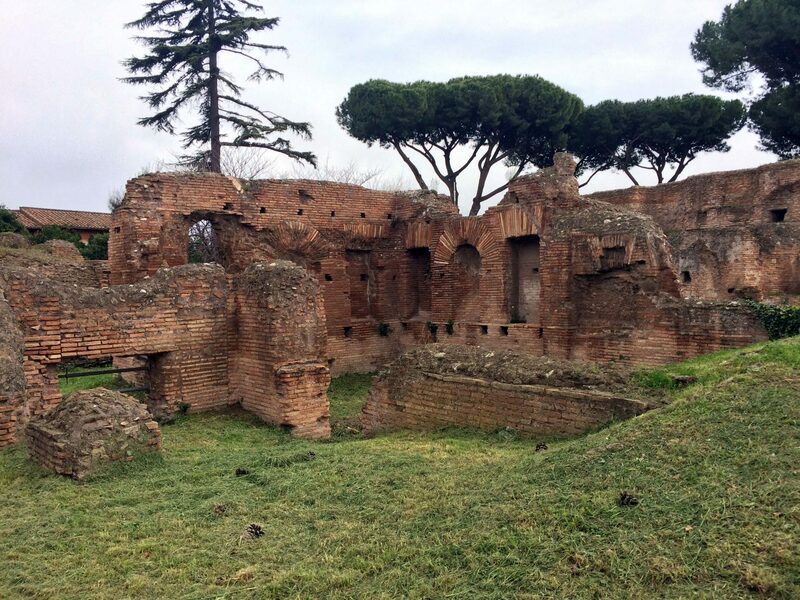 The Forum was once the center of Roman life as it was home to not only governmental buildings but also royal residences and religious temples. 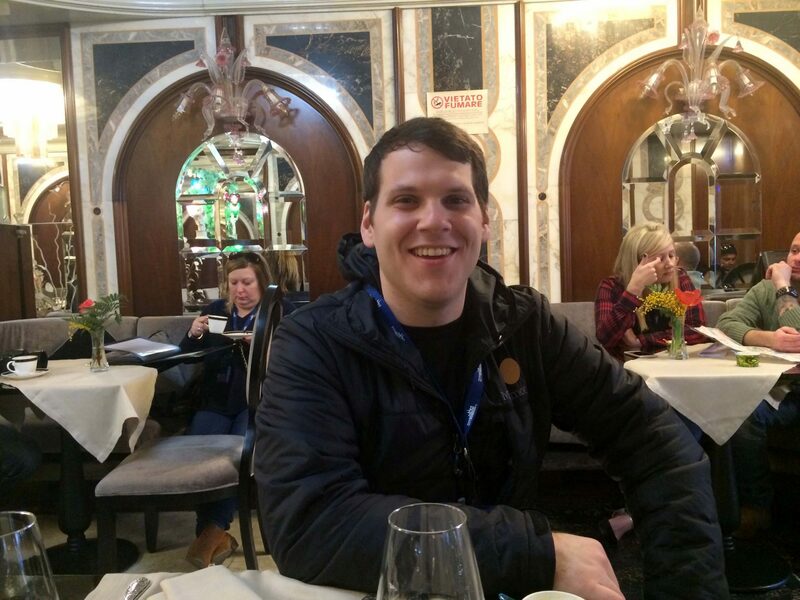 We had a couple hours to take a lunch break before we needed to meet our guide for the afternoon part of the Rome in a Day tour. 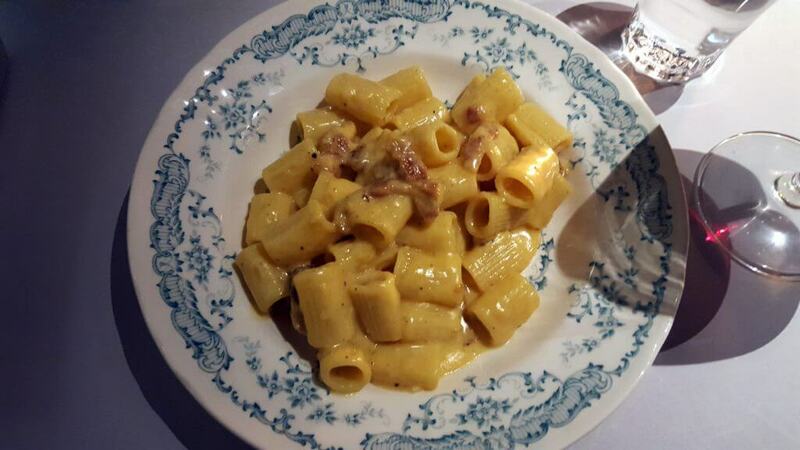 We went back near our hotel and scouted out some pasta. 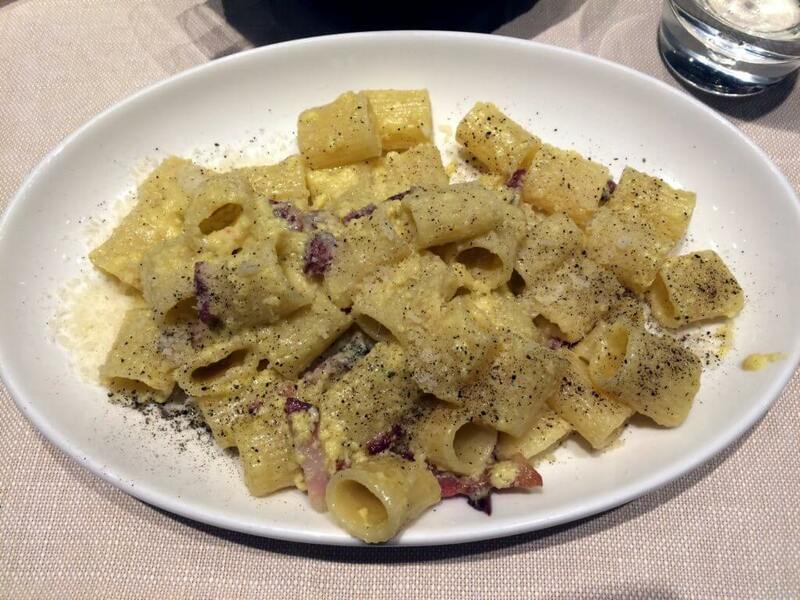 I opted for one of my favorite pasta dishes, cacio e pepe, and Daniel ordered another cheesy pasta with bacon dish. 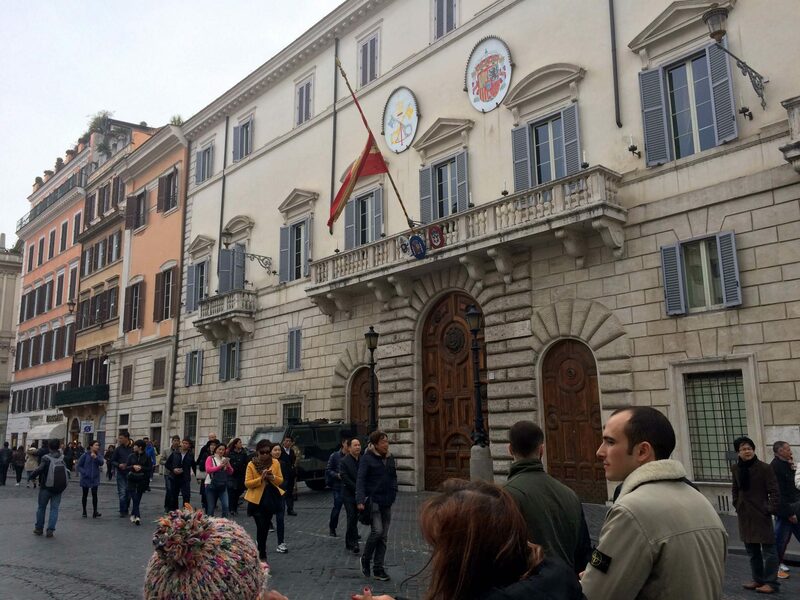 Our afternoon “Best of Rome” tour started at the Spanish Steps, which happened to be right by our hotel. 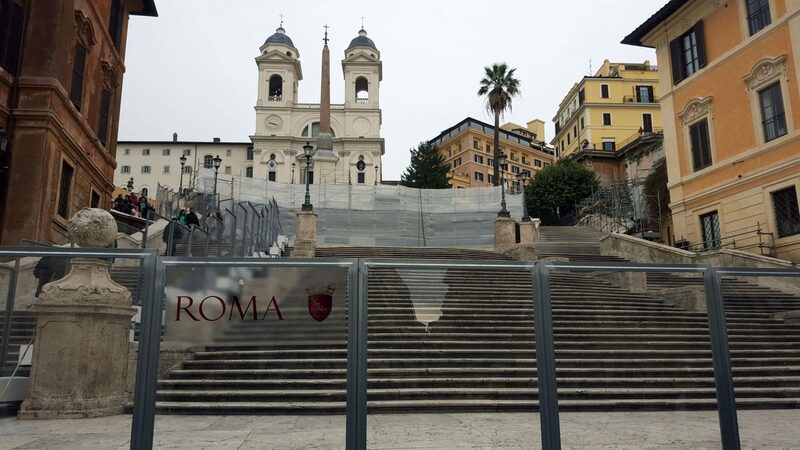 The Spanish Steps were under construction, so I didn’t have the opportunity to take a good picture of them. Our guide was different from the morning tour, and we absolutely loved her! I wish we could remember her name or had gotten a photo with her, but sadly, we did not. 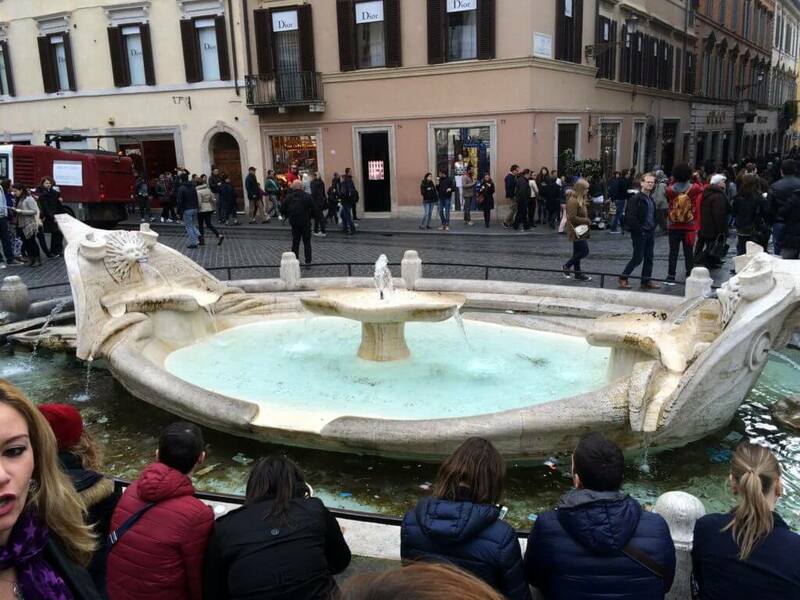 After the Spanish Steps, she took us through the nearby area, pointing out historical points of interest such as the fountain pictured below, the Fontana della Barcaccia. 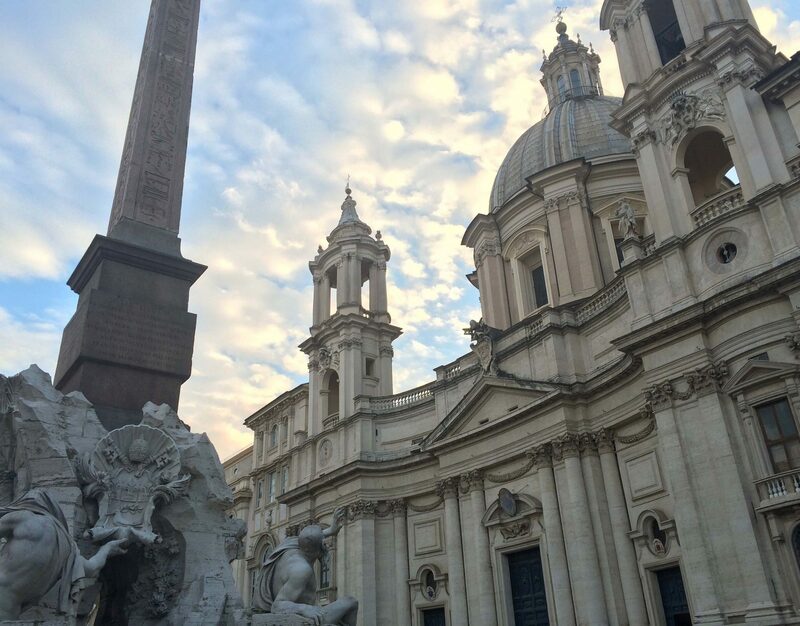 Bernini was commissioned by the Pope to build this fountain as part of a project to include a fountain in every piazza in Rome. 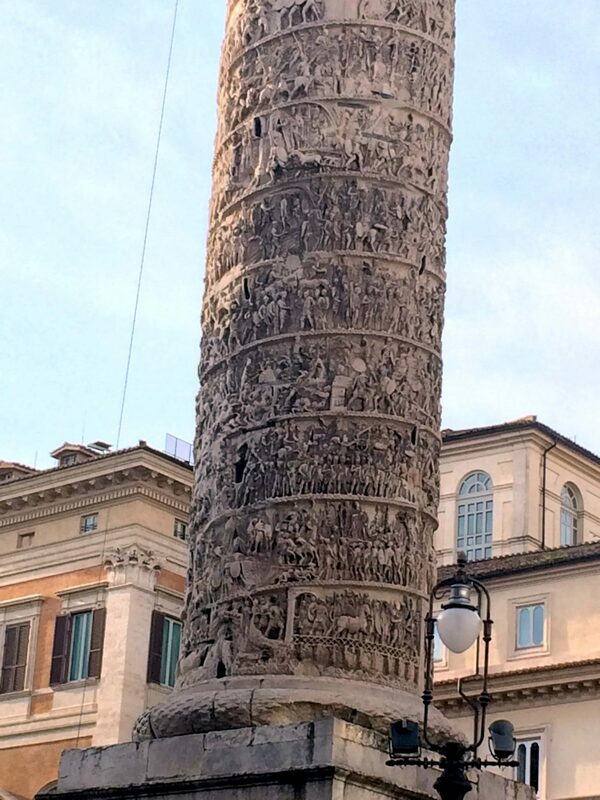 While walking along with our tour group, our guide stopped at the column in the photo below. The column was built in honor of Emperor Marcus Aurelius. I found the intricate spiraling carvings in the column, which tell the story of a war fought during the emperor’s reign, to be really beautiful and interesting. 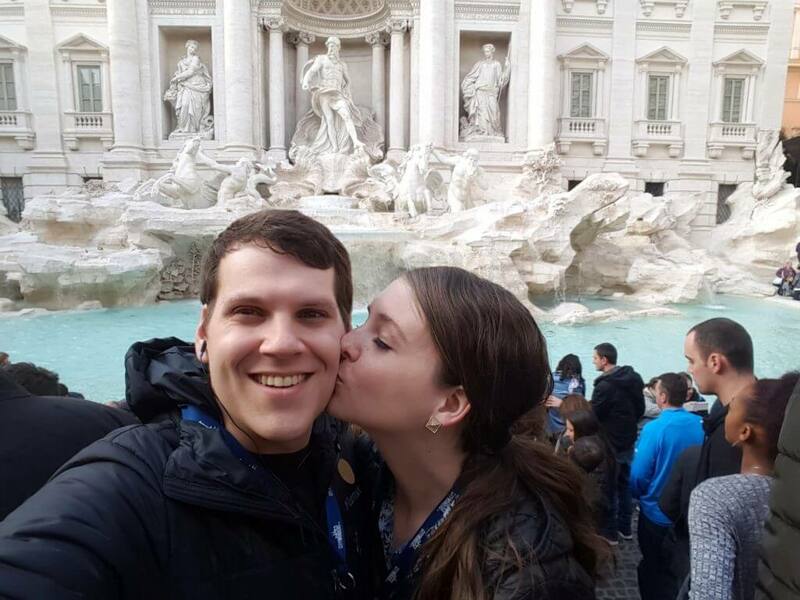 I’m sure everyone has heard of the Trevi Fountain, famous for making wishes come true when you throw a coin with your right hand into the fountain over your left shoulder. 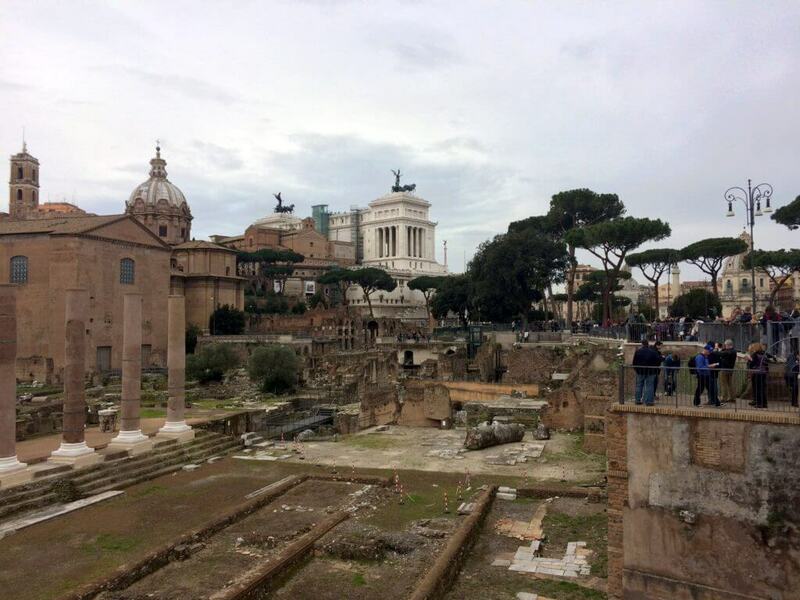 One coin thrown means you will return to Rome one day. 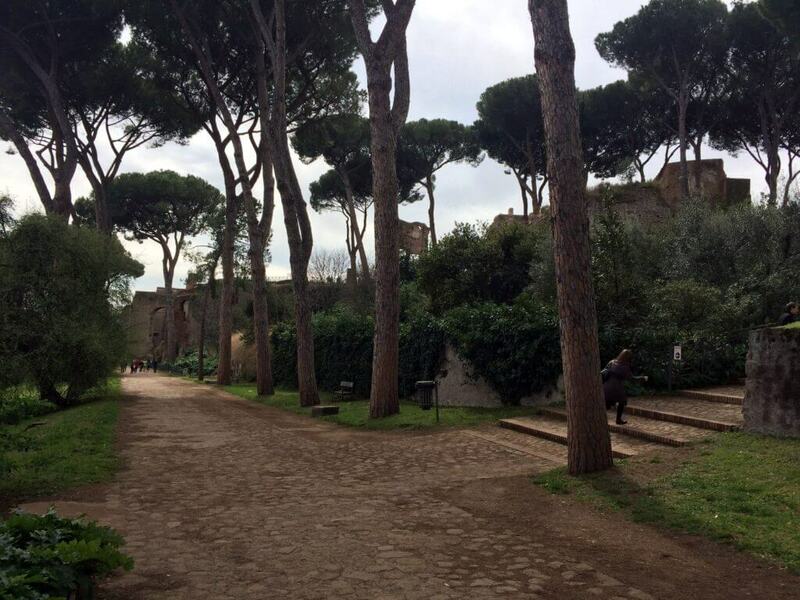 Three coins thrown means you will have a new romance and a Roman wedding. According to a report by NBC News, $1.5 million US dollars worth of coins were thrown into the fountain during 2016! According to the same report, the money is sent to the non-profit Caritas. The fountain was much more beautiful and intricate than I had even imagined. Work on the fountain was completed in 1762. 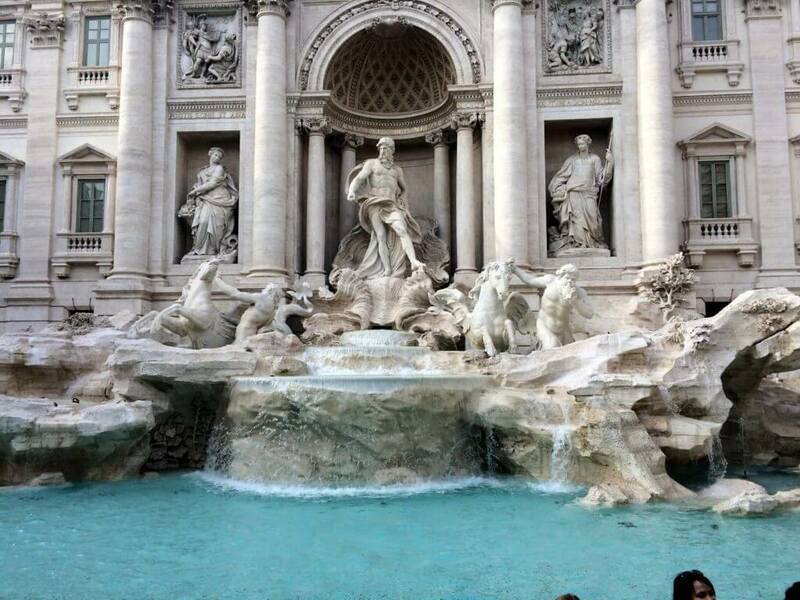 It is made of white stone, and the sculptures feature stories of Triton and Oceanus. I’m sure that the recent restoration of the fountain added to the “sparkle”. One thing I highly recommend you do while in Rome is make time to visit the Trevi Fountain both by day and by night. With all of the beautiful lighting, it seems to be a completely difference masterpiece at night. Also, when we went back in the evening (see Roma! Part II), it was much less crowded, and we were able to get more pictures. Watch out for the very determined photographers who will insist (over and OVER again) that you need them to take your picture – they will ask for money afterward. We opted to just take our own pictures and declined the pushy photographers’ multiple offers. 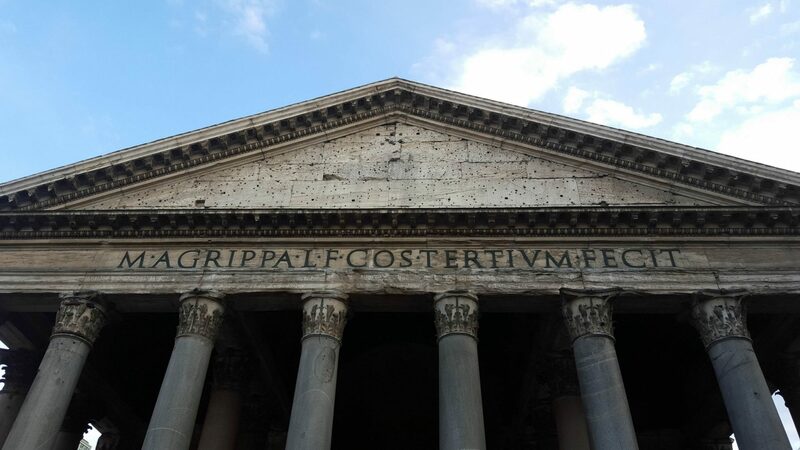 The next stop on our tour was perhaps the main event of the afternoon – the Pantheon. 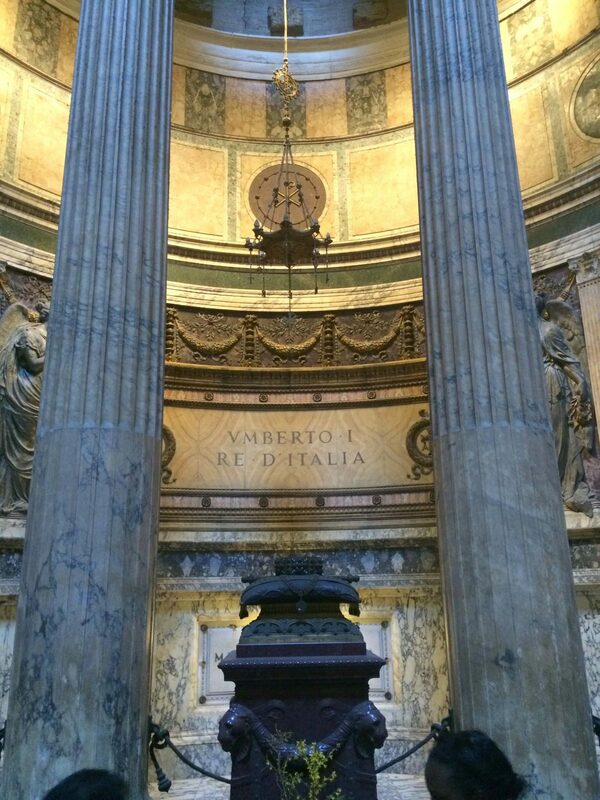 The Pantheon is a former Roman temple, and it is now an active Roman Catholic church. 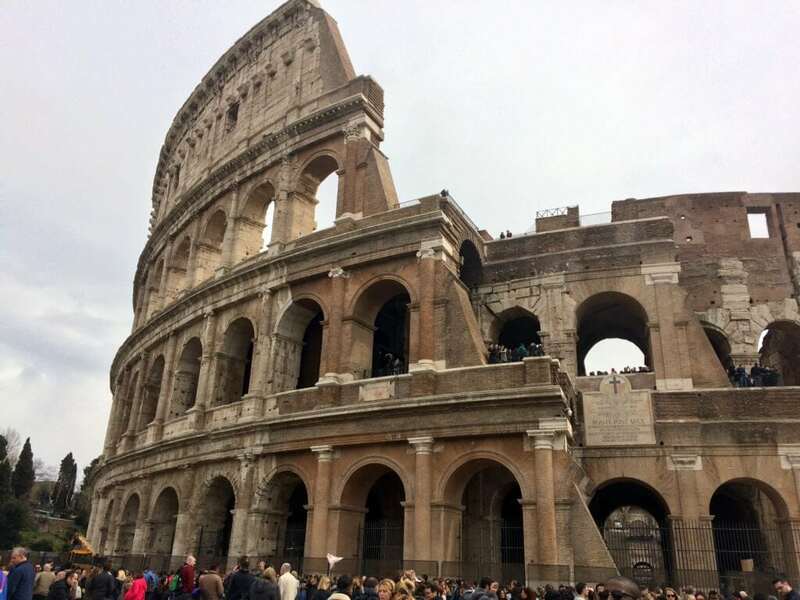 The building as it stands now was built in the second century! 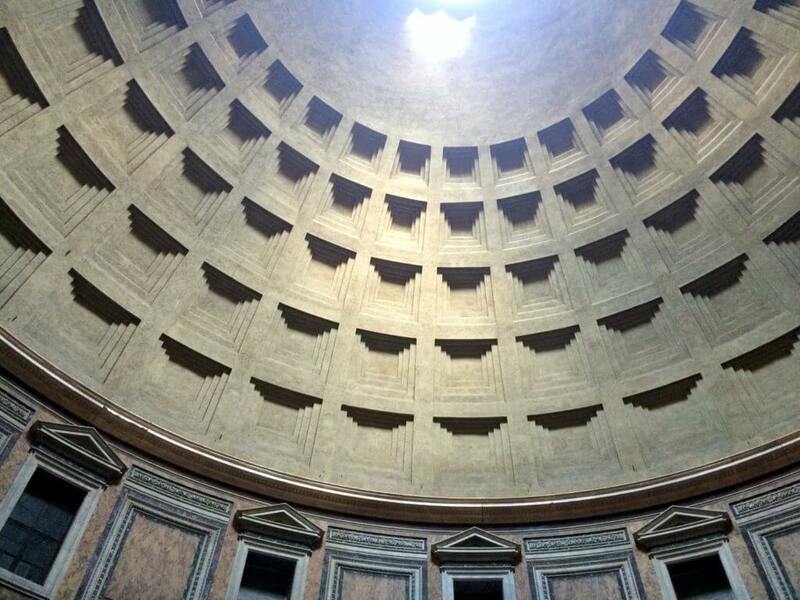 It is one of the most well-preserved ancient Roman buildings, and it is crowned with the largest unreinforced dome in the world. 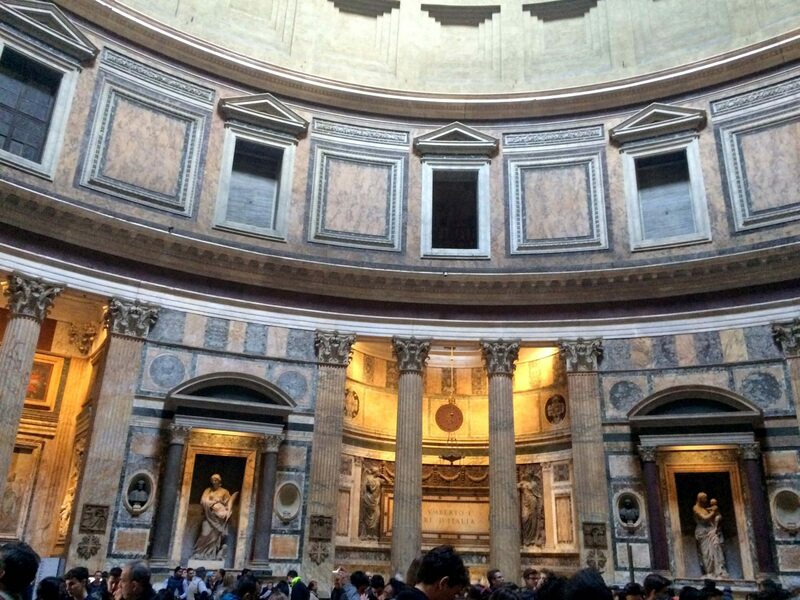 Both the inside and the outside of the building showcase architectural treasures and masterpieces originating from the second century through the Renaissance. 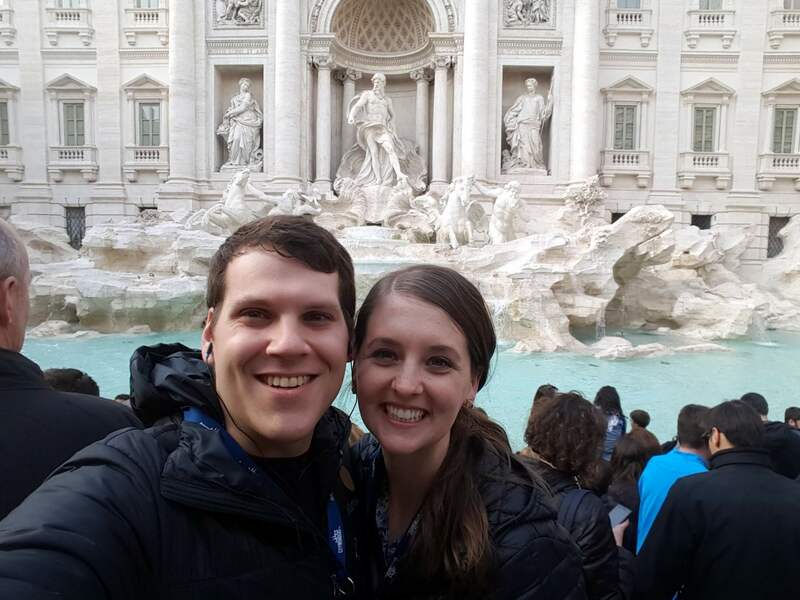 We loved our City Wonders “Best of Rome” tour and felt that the experience touring these sights was much more rich because of the information and stories that our guide shared. 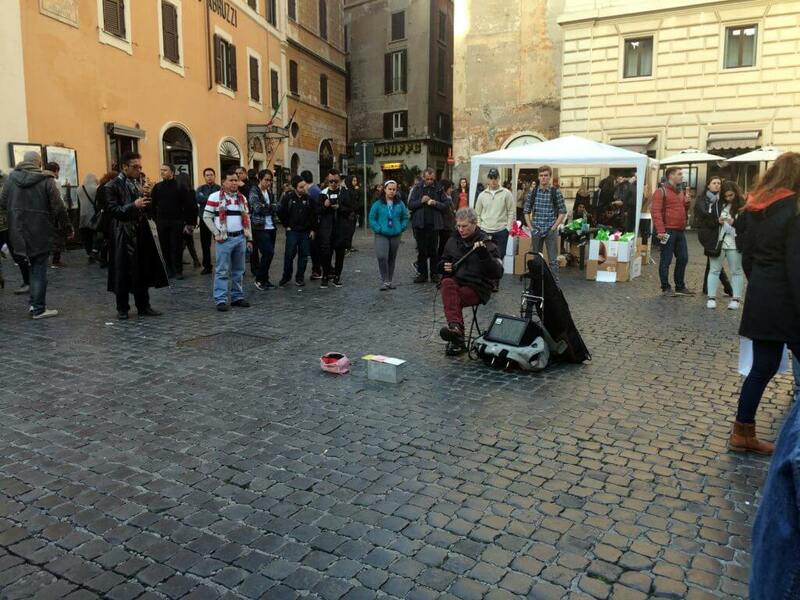 A very talented musician was performing in the square outside of the Pantheon, so we stopped to listen. The final stop on our tour was at a local gelato shop on the same square as the Pantheon, Antica Salumeria. Despite its touristy location, the gelato was fantastic and the service was wonderful. 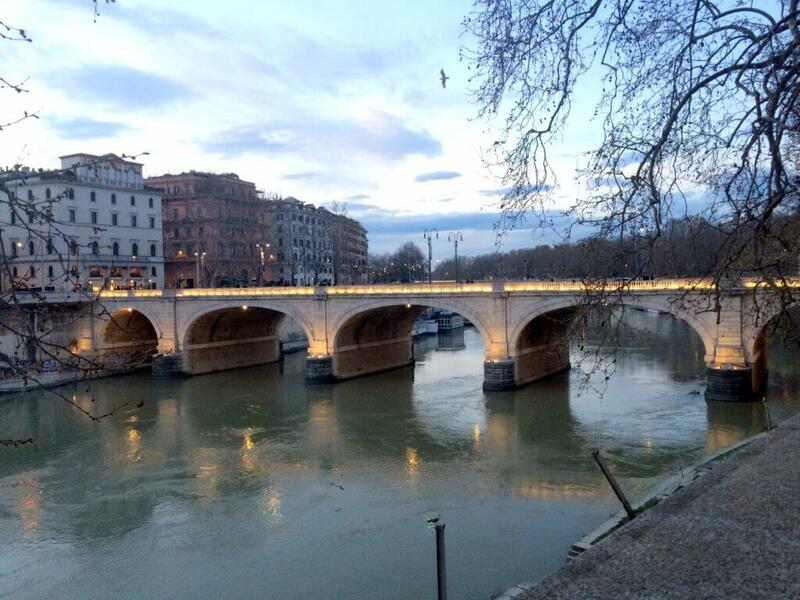 We recommend it for a quick gelato and espresso stop in the middle of a day full of sightseeing. And after a long day of being a tourist (whew! 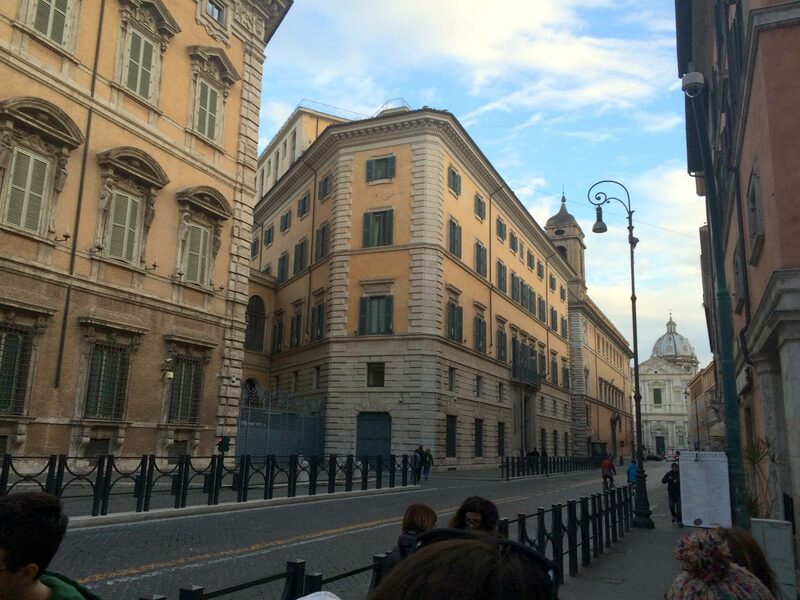 ), we ended with a leisurely walk back to our hotel area. 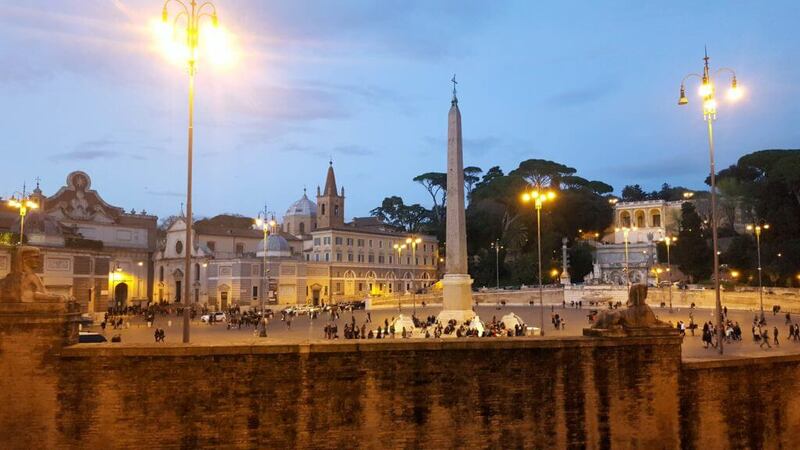 Rome at dusk is magical and has a completely different feel to it than daytime Rome, so we took our time taking pictures and soaking it all in. 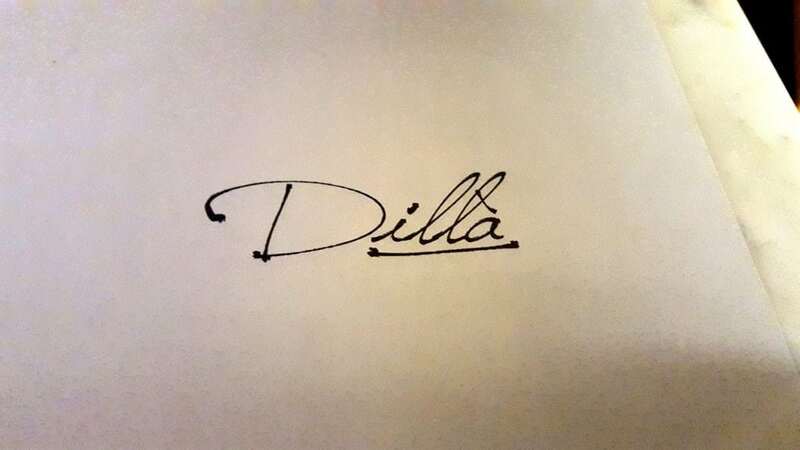 We ended up at Dilla that evening for a delicious dinner of fresh pasta (our second pasta meal of the day!). 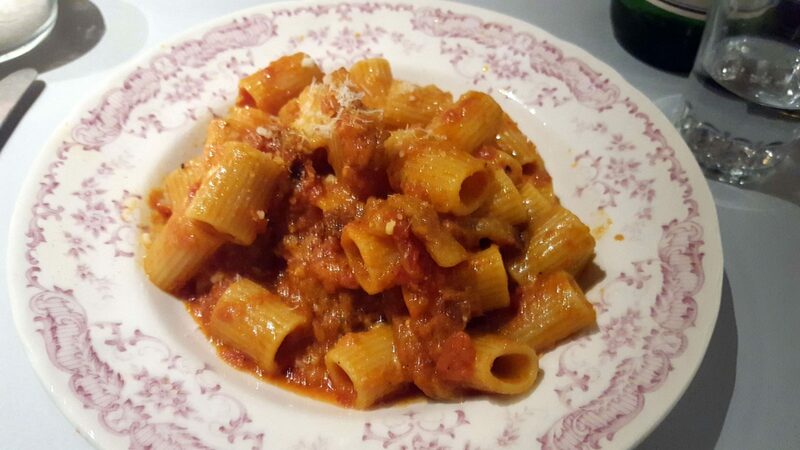 The food was wonderful, and even though the service was not great, I think I’d still recommend it for the wonderful pasta, reasonable wine list, and cozy environment.